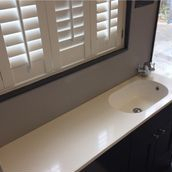 Here at CP Shutters we are privileged to work closely with some of the finest interiors companies and design businesses in Essex. 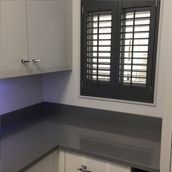 We have been part of many exciting projects with our partners and you will often find our Shutters featured in some of their best work as well as displayed in their Showrooms. For more information on these businesses please follow the links below to their websites. Many interior designers like to impose their personal opinions and tastes on their clients. Polli Interior do not believe in bullying their client into a particular choice. 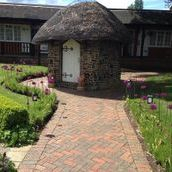 Evelina and her team specialise in making your dream home a reality. Using her wealth of experience and keen eye for detail, Evelina has created some of the finest interiors we have ever seen, whilst prioritising her clients needs and desires. 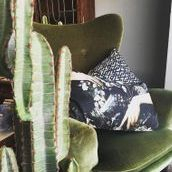 Polli interior also have a vast array of exclusive furnishings and product that you can find nowhere else, so if you are looking for an Interior Designer with a truly Unique portfolio of design skills and product, look no further than Polli Interior London. 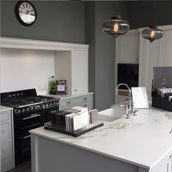 Established for over 30 years, Daman of Witham Ltd are synonymous with quality Kitchens, Bathrooms and Bedrooms at great value for money prices. Their expert designers can help guide you through the complexities of designing a luxury living space, often in-cooperating our beautiful shutters in their designs! You can find our Fambridge, Thaxted and Elmstead ranges on display in their huge Showroom. 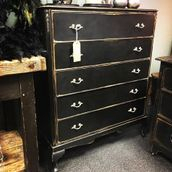 A Mix of Quirky Furnishings, Accessories, Wallpaper , Vintage Retro Antiques, Gifts & Chalk Paint. Intrepid Interior is all things Eclectic and unique for the home. 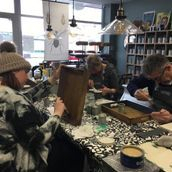 Specialising in items that will make your home stand out from the rest, Intrepid also host informative workshops on things such as furniture painting. We look forward to working on some exciting projects with Intrepid Interior over the coming year. 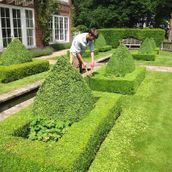 Beginning his career in horticulture in 2007, Matt left school and started working for a well established landscape company, making his mark in a wide variety of gardens and the company's own private nursery based in Chelmsford, Essex. 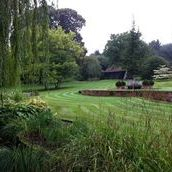 ​He gained various qualifications along the way, including an NVQ in amenity horticulture and his PA1 & PA6 pesticide spraying qualifications. 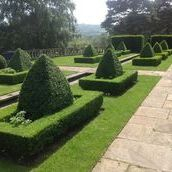 He is also a registered member of The Gardeners Guild and an Associate of The Chartered Institute of Horticulture. 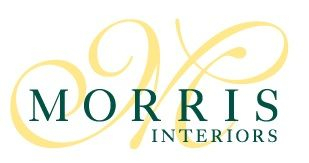 Offering the complete interior design service, Morris Interiors of Thorpe Bay offer a fantastic array of interior products. A fantastic choice of styles, finishes, fabrics, leathers and bespoke upholstery, their interior designers will certainly inspire you. They will transform your Home. 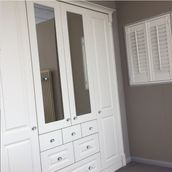 You will find a large choice of our Shutters on display in their Thorpe Bay Showroom. 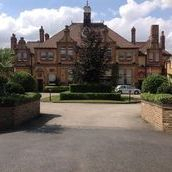 One of the largest and most impressive Interiors Showrooms you will find in the UK. Tec Lifestyle offer a huge range of designer brands for every room of the Home. 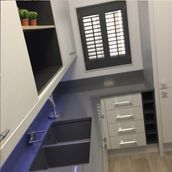 A team of expert designers, each trained in their own area can specify a huge range of quality products for your Kitchen, Bathroom, Bedroom or indeed any room of the house. The Showroom also boasts an impressive collection of home decor items, from lighting to cushions.